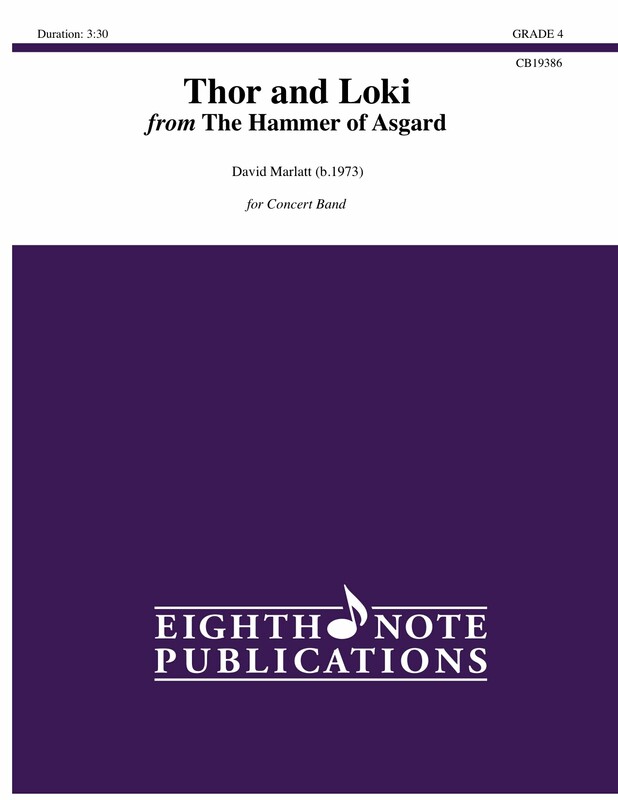 Thor and Loki is the opening movement to the three part suite The Hammer of Asgard, an original soundtrack style composition for winds and percussion. Using Norse mythology as the theme, this movement introduces a powerful Thor theme in the horns and the ever tricky Loki theme in the solo alto saxophone. Wailing Hollywood horns, brilliant trumpets, woodwind flourishes, energetic percussion writing and powerful low parts make this fun to play for all and a wild adventure for audiences.